Metrocable Medellín integrates communities in need. Photo by EMBARQ Brazil. This post was originally published in Portuegese by Maria Fernanda Cavalcanti on TheCityFix Brasil on December 1, 2011. 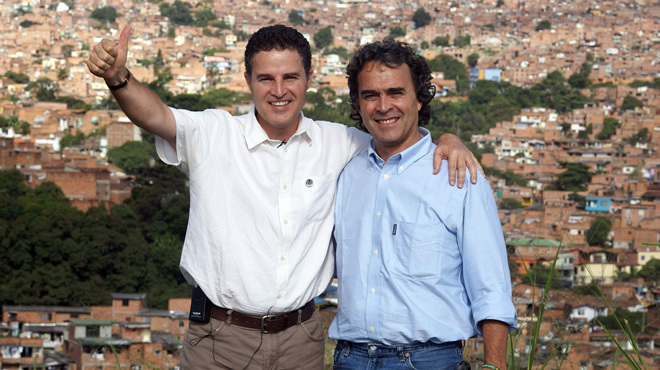 For Sergio Fajardo, the former mayor of Medellín (2004-2007) and now governor-elect of Antioch (2012-2014), all government action must be strategically linked to solving fundamental problems of social inequality, violence and a culture of lawlessness. His work seeks to reduce the door to violence and increase people’s happiness. It’s about getting out of fear and renewing hope, through science, knowledge, culture, innovation and entrepreneurship. None of this is easy and requires political leadership, technical staff and high-level commitments and resources for preparing and doing things right. After Fajardo, Medellín had a line of continuity in the next administration, led by Alonso Salazar (2008-2012.) Once priorities were set, some new lines of action were created, which was fundamental to keep things going. The recent election of a politician with the same actions and thinking as Fajardo is Aníbal Gaviria (2012-2014), who already served for the Government of Antioquia (2004-2007). This trend shows us that “Medellín Imparable” (“Unstoppable Medellín”) will keep going. Viva Medellín! EMBARQ experts in Brazil, Mexico, Colombia, Chile and U.S. had the opportunity to share some time with Sergio Fajardo during his recent Medellín visit, and begin to understand the importance of mass transit in the sub-normal settlements in the form of cable cars, integrated with public space, facilities and housing. But Fajardo did not invent the cable car; he used it in his global strategy based on decency, dignity and respect for all people. Fajardo’s successor launched a second cable line in the New West in 2009. 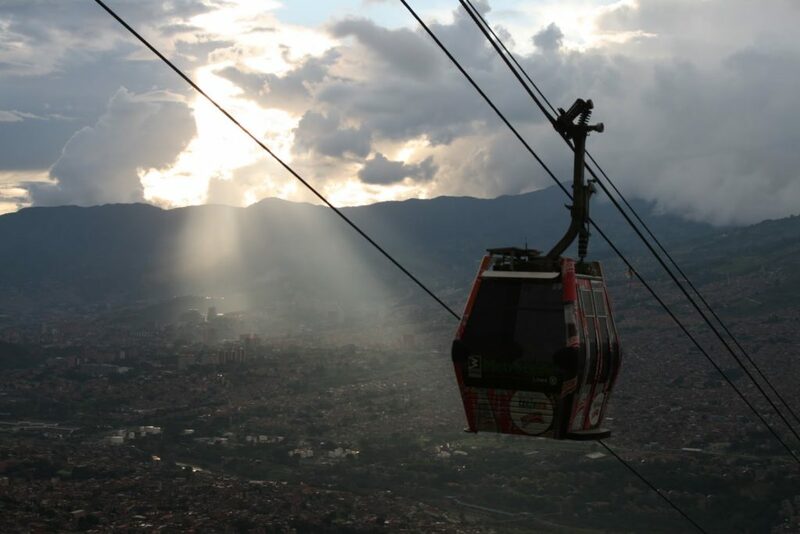 Now the Metro of Medellín is building a third corridor in the East with a tramway and a cable car, and the city is preparing for all the new transit interventions, in which a cable car is not just a cable car but an urban transformer. Anibal Gaviria and Sergio Fajardo.